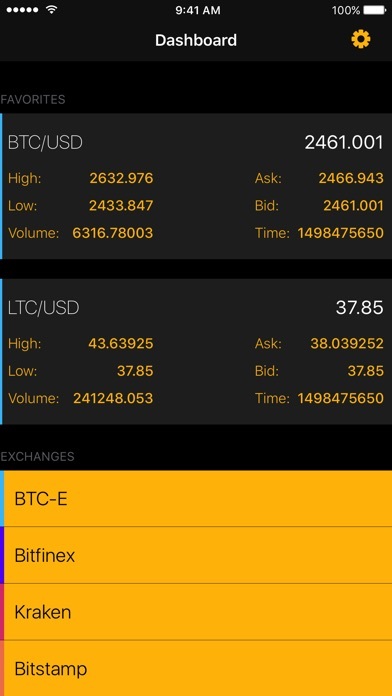 Cryptey is a cryptocurrency ticker that let's you follow current rates for all major coins like Bitcoin, Litecoin, Ethereum and more. 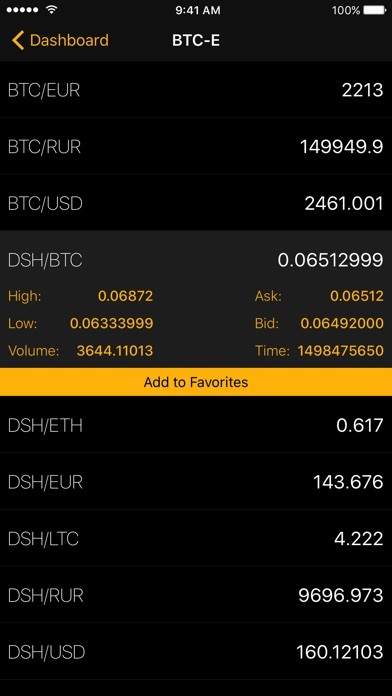 You can add most important rates to a favorites list so they can be easily visible in app's main view. Additionaly access to all rates from 8 major exchanges (Wex (previously BTC-e), Bitfinex, Kraken, Bitstamp, OKCoin, Poloniex, CoinFloor and GDAX) is only a tap away. 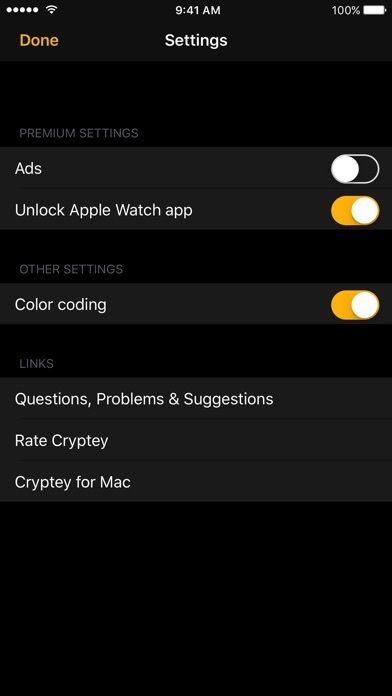 If you like the app, please consider upgrading to Premium to remove ads and unlock Apple Watch app. Cryptey for Mac is also available in the Mac App Store. Check it out! Features: - favorites, - access all rates from Wex (previously BTC-e), Bitfinex, Kraken, Bitstamp, OKCoin, Poloniex, CoinFloor and GDAX, - 8 major exchanges supported, and more to come! - easy to use and lightweight. Premium Features: - Apple Watch app, - ad-free, - more to come!